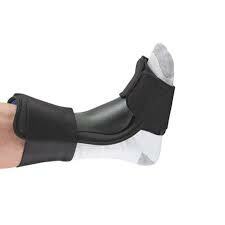 The Airform night splint provides an effective treatment for Plantar Fasciitis, Achilles Tendonitis, Drop Foot and Poststatic pain. Its light weight, low profile design makes it more comfortable – better comfort means better compliance. Slips on and adjusts easily. Fits left or right foot, comes in 2 sizes.